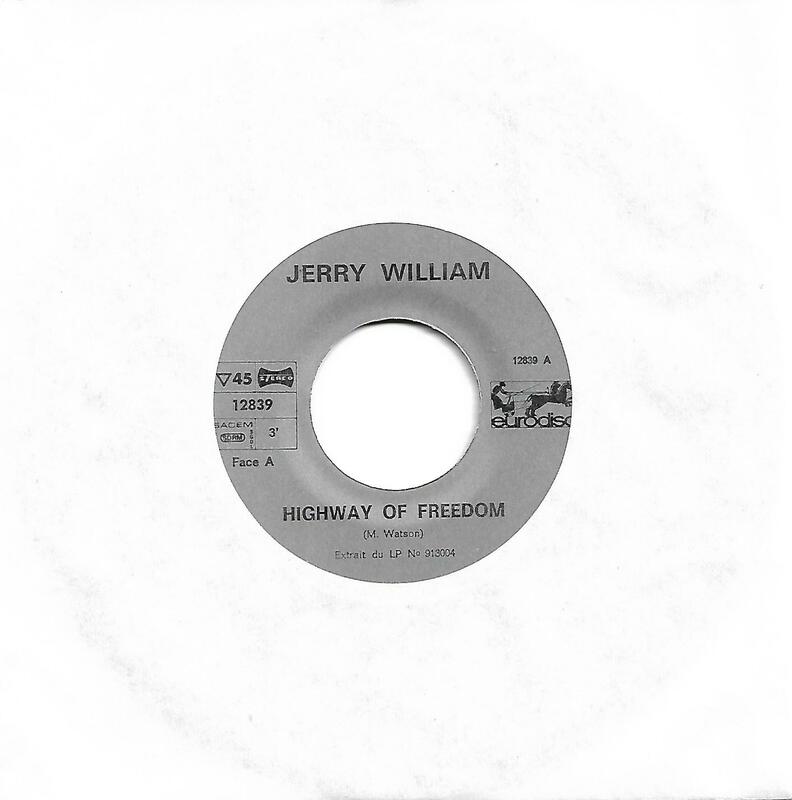 7" - WILLIAMS, JERRY - HIGHWAY OF FREEDOM / HURRICANE SHIRLEY Rare French pressing! Rare French edition! Was not released with a sleeve.